Just how resilient does a space telescope have to be to survive both Earth’s environment and the frigid, airless environment of space? Paul Geithner, the deputy project manager – technical for James Webb Space Telescope at NASA’s Goddard Space Flight Center in Greenbelt, Maryland, answered some questions about the design challenges of building the telescope and the gauntlet of tests it has endured in the years leading up to launch. James Webb Space Telescope, or Webb, is NASA’s upcoming infrared space observatory, which will launch in 2019. Q: What kind of conditions do Webb and its instruments need to withstand? Paul: The entire observatory must survive the mechanically stressing conditions from the violent vibration of launch. In addition to this, the “cold” half of the observatory—the telescope and its instruments—must survive the thermal shrinkage that occurs when they are cooling from room temperature to the cryogenic temperatures at which they operate in the cold of space. The engineering challenge is to operate Webb at extremely cold temperatures, since Webb is built at room temperature. Materials typically shrink at various temperature rates as they get cold. We have to build the Webb telescope in a way so that it shrinks to precisely the right shape and dimensions when it’s extremely cold. Webb has to survive the stresses of shrinking and expanding during cold temperature tests and warming it back up again—things that will happen when it goes into space. Webb has to survive years in space, exposed to the radiation from the Sun and the galaxy. Q: Why is vibration testing so important, and how does it show Webb is ready for the rigors of launch? Paul: Vibration testing is done for two reasons. One reason is to validate that Webb can handle the rigorous shaking it will experience while riding a rocket into space, and the other reason is to verify the workmanship of Webb’s construction and prove the design was engineered and assembled correctly. We use two complementary methods of vibration. For lower frequencies of vibration, meaning from about 5 hertz (cycles per second) to 100 hertz, we put the hardware on a surface—basically a big metal plate—that rides on bearings so it can move back and forth, and this surface is connected to essentially a big electromagnet that generates the shaking motion. For higher frequencies, above 100 hertz, it is very difficult or impossible to achieve the necessary vibration with a big vibration table system, so instead we put the hardware in an acoustics chamber. This is a thick-walled room with large speakers that produce literally deafening levels of sound. Taken together, the vibration table and acoustics chamber produce the vibration environments we need to properly test the Webb. Typically for a one-of-a-kind article like Webb, the levels of vibration we subject it to in testing on the ground is about twice what it will endure during the mission. This testing gives us confidence that Webb has been put together correctly, will survive the actual flight, and will work as designed once in space. NASA engineers and technicians perform vibration testing on the James Webb Space Telescope at NASA’s Goddard Space Flight Center in Greenbelt, Maryland, in February 2017. Q: Why is cryogenic testing so important, and how does it show Webb is ready for the stresses of space? Paul: Super cold or “cryogenic” tests are part of demonstrating and verifying that Webb’s instruments and components operate like they should and will operate properly once at Earth’s second Lagrange point (L2). The L2 point is about 1 million miles from Earth. We put the Webb telescope’s hardware into a big vacuum chamber, close the door, pump all the air out, and then run liquid nitrogen and extremely cold helium gas through plumbing that crisscrosses the surface of thin “shells” that are nested Russian-doll style inside the vacuum chamber. The shells are also called shrouds, and they are very cold. The outer one approaches 77 Kelvin (about minus 321 degrees Fahrenheit/minus 196 degrees Celsius—the temperature of the liquid nitrogen). The inner shell runs between 10 and 20 Kelvin (between minus 442 degrees Fahrenheit/minus 263 degrees Celsius and minus 424 degrees Fahrenheit/minus 253 degrees Celsius—the temperature of the cold helium gas). Anything nestled inside the shrouds will radiate its latent heat to them and get really cold, too. The effect is similar to what happens on a clear night, when the heat from the previous day radiates freely into the night sky. By morning, the temperature can be quite cold. Think about the desert, where skies are typically dry and clear. Even though it’s scorching hot during the day, it gets frigid at night because the heat radiates away from the surface. Q: Why does Webb need a “sunshield,” and what kind of protection does it provide? Paul: The instruments are shaded from the Sun by a tennis court-sized, five-layer, deployable sunshield. The sunshield consists of deployable booms and gossamer polyimide membranes, essentially sheets of special plastic (DuPont Kapton®), each only about one one-thousandth of an inch thick and coated with reflective aluminum and protective silicon. Basically, it looks like a five-layered, giant silver kite in space. We need a sunshield to keep the telescope and instruments cold because Webb is an infrared telescope, which means it sees infrared light. Infrared light is light that is of slightly longer, or redder, wavelengths than visible light. We cannot see it with our eyes, but we can feel it as radiant heat. For an infrared telescope to be as sensitive as possible, its optics and scientific instruments need to be very cold, so their own heat does not blind them to the faint infrared signals they are trying to observe from astronomical objects. In space and shaded from the Sun by the sunshield, the telescope and scientific instruments will face the extreme cold of deep space and will get very cold themselves. Q: What materials were used to build Webb, and how do these materials increase Webb’s resiliency? Paul: We used beryllium for many of Webb’s mirrors and some of the structures because it is simultaneously lightweight, stiff, strong, and dimensionally stable (stops shrinking and expanding) at the telescope’s operating temperature. Beryllium changes dimensions a lot with temperature, but it virtually stops shrinking once it goes below a temperature of 100 Kelvin (about minus 280 degrees Fahrenheit or minus 173 degrees Celsius). We used many other materials on the Webb, including aluminum for some things, stainless steel for fasteners, titanium for structures and fasteners, invar (an alloy) for structural nodes, and many other metals. We also have non-metals like graphite-epoxy composites for most structures and silicon carbide ceramic for one of the scientific instruments (the near infrared spectrograph — NIRSpec). Q: Webb’s orbit at Earth’s second Lagrange point (L2) is beyond the protective sheath of Earth’s magnetic field, meaning the telescope is more susceptible to the Sun’s radiation and to solar flares. How is Webb insulated from these threats? Paul: Earth’s magnetic field acts like a deflector shield for protons and electrons spewing all the time from the Sun. Protection for satellites within Earth’s magnetic field includes putting some metal—like aluminum panels—between electronics and the space environment, implementing good electrical grounding, and making electronic components resistant to radiation. Because Webb is outside Earth’s magnetic field, it will be bombarded by charged particles streaming from the Sun, and so it needs extra protection. These charged particles are hard on electronics, and they can accumulate on surfaces to build up static charge that can cause damaging discharges. Webb will also be vulnerable to the occasional massive “belch” from the Sun that happens with solar flares and coronal mass ejections, which are phenomena in which the Sun releases slugs of maybe a few years’ worth of protons and electrons in just hours. To enable Webb to weather such stormy solar weather as well as ordinary “nice days,” almost all of its electronics are shielded inside metal boxes and behind multiple layers of metal or metal-coated film. The electronics on the cold side of Webb’s sunshield get some benefit of being behind the shield’s five layers, which are coated in aluminum. The electronics inside the spacecraft bus, which faces the Sun, are hardened, shielded, and grounded. Webb used tried and true design practices and satellite building codes to ensure it will survive and function in the harshness of the L2 environment. Image of M5.7 solar flare on April 2, 2017, as seen by NASA’s Solar Dynamics Observatory in a blend of 131 and 171 angstroms. Q: Webb was not designed to be serviced, but could it eventually be repaired or refueled during a robotic service mission? Paul: Conceivably, some robotic servicing of Webb could be possible. A robot could grapple Webb at the same place where it was attached to the Ariane launch vehicle, which is the launcher interface ring on the Sun-facing spacecraft bus, and then add fuel to its propulsion tank. 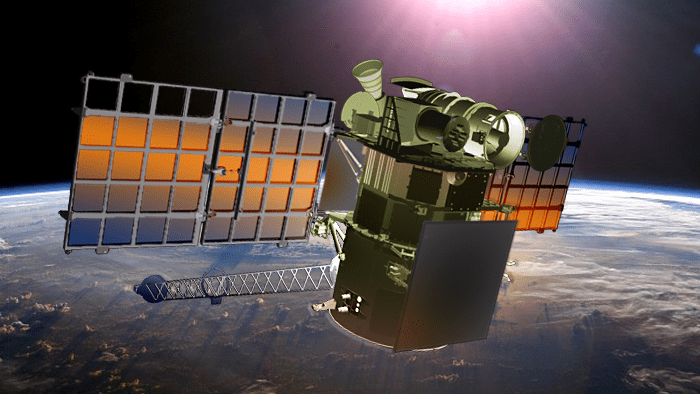 Given that Webb is an exquisitely sensitive infrared observatory, and much of it is at cryogenic temperatures, opportunities and benefits of servicing are limited. 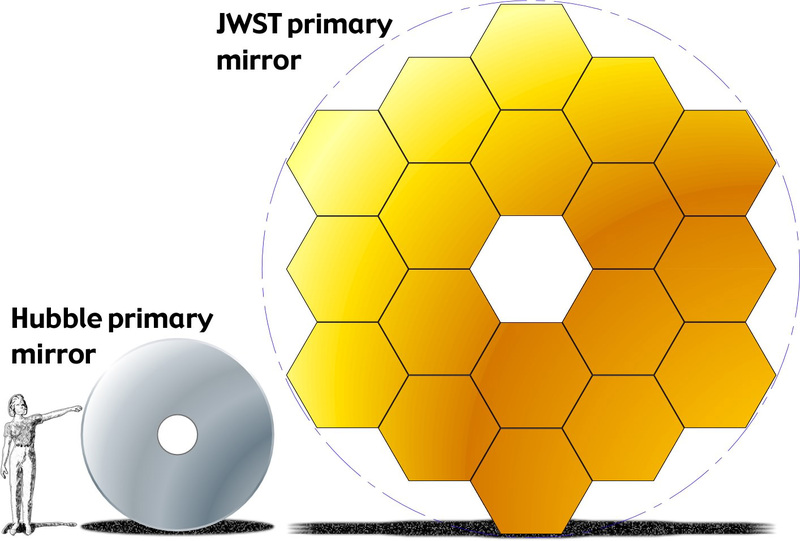 The James Webb Space Telescope is the world’s premier infrared space observatory of the next decade. 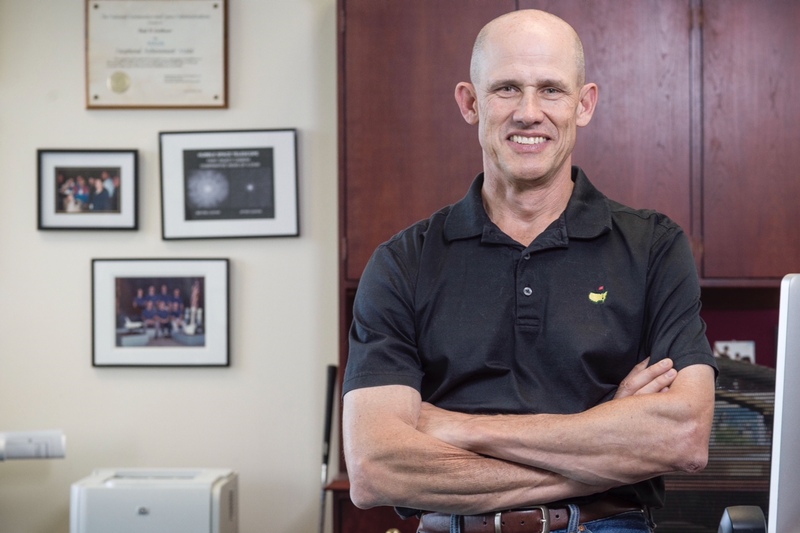 A barrier-breaking mission for engineers and astronomers, Webb will solve mysteries of our solar system, look beyond to distant worlds around other stars, and probe the mysterious structures and origins of our universe and our place in it. Webb is an international program led by NASA with its partners, the European Space Agency (ESA), and the Canadian Space Agency (CSA).